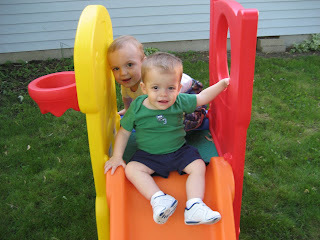 Mommy and Daddy let me have my friend Brock over to play a couple of weekends ago. We had soooo much fun!!! How cute are they???? I'm not biased or anything!